De Hart Plumbing Heating & Cooling provides high-quality drinking water filtration. We serve the Junction City, Manhattan, and Topeka areas of Kansas. Our full flow Drinking Water System provides carbon filtration for cleaner, better tasting water by reducing common contaminants. It fits easily under your kitchen sink and operates through a separate faucet. The system is easy to change too–Twist on, twist off, no mess. Having safe, clean and clear drinking water in your home is both a pleasure and a reassurance that you’re giving your family the best. With a water filtration system from De Hart Plumbing Heating & Cooling you can provide filtered drinking water for every member of your family. Installs under sink for drinking, coffee and cooking water. Built-in shut off valve – no need to shut of water to change filter. Combines effectiveness of carbon filtration with 0.2 nominal micron pharmaceutical grade nylon membrane filter. 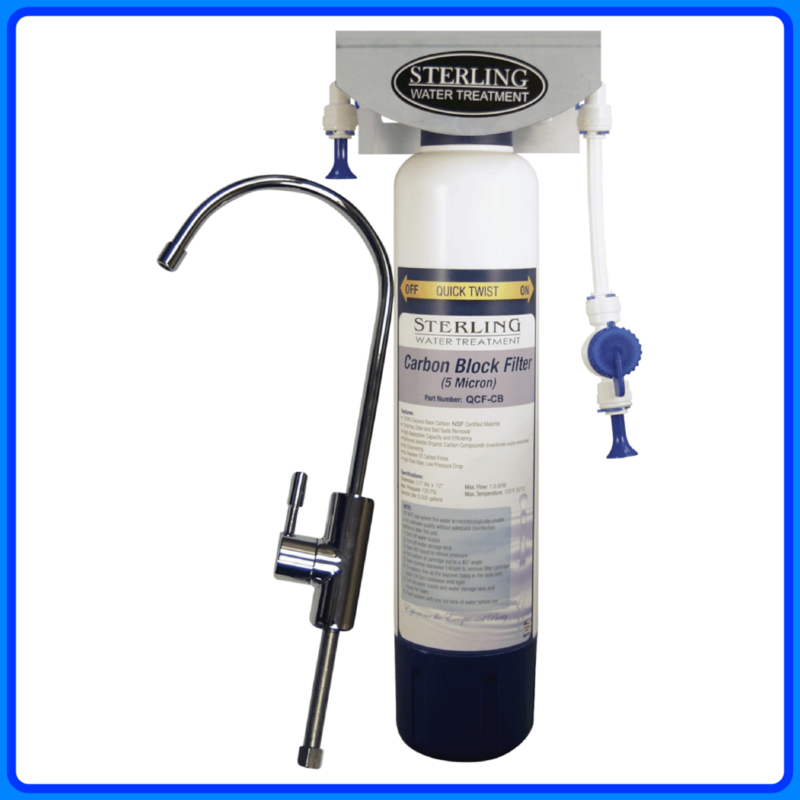 Pre-filter wrap reduces sediment while helping protect carbon media.